Ontario PC Party leadership candidate Doug Ford made it clear Saturday night he intends to stake out the same populist ground that won the Toronto mayor’s chair for his brother Rob in 2010. 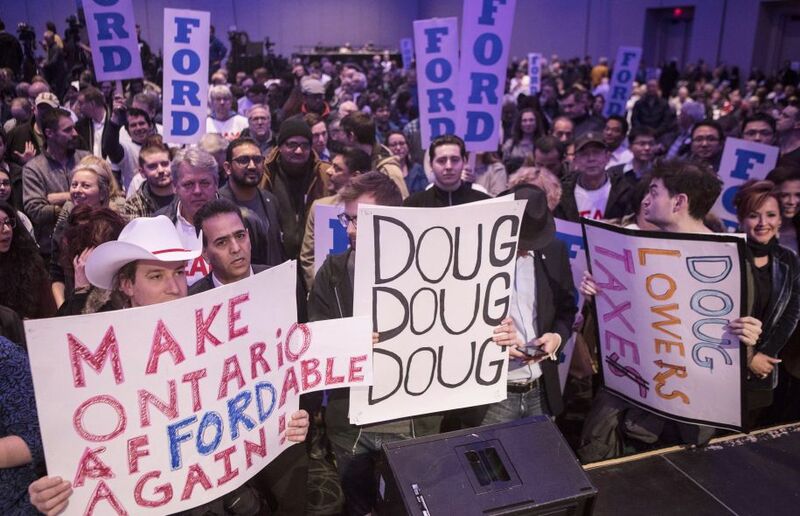 “The stakes have never been higher…people in Ontario are suffering under the weight of high taxes and big government,” he told a crowd of more than 1,500 who came out to a hastily organized rally at the Toronto Congress Centre on a snowy night. A recent study between The Canadian Press and EKOS Research, for instance, identified one Ontario community as the most likely in the country to respond to a populist movement. As he launched his leadership bid to be Progressive Conservative leader, Ford told the crowd he doesn’t support the carbon tax — a key part of the party’s platform.